Michael and Suzanne Hupy Honored as Parents of the Year | Hupy and Abraham, S.C. The personal injury law firm of Hupy and Abraham, S.C. is proud to announce that firm president Attorney Michael Hupy and his wife, Suzanne, will be honored as the 35th annual COA Youth & Family Centers’ “Parents of the Year” on August 22 at the Italian Community Center in Milwaukee, Wisconsin. Linda Gorens Levey and Michael Levey will also be honored at this year’s event. 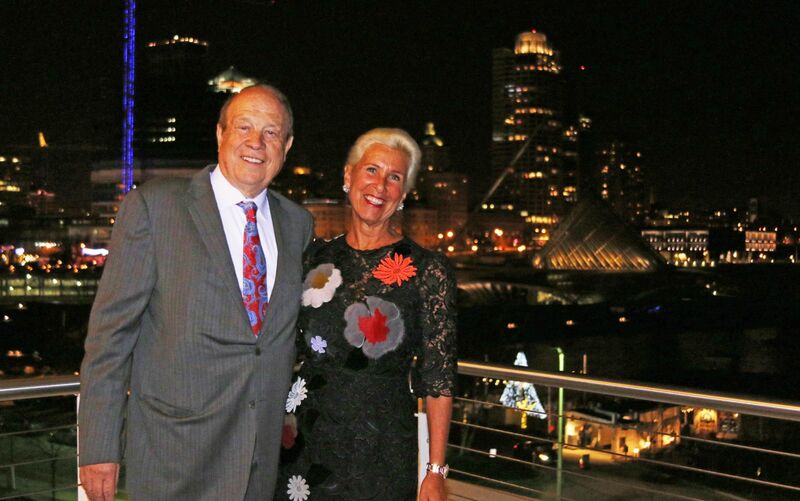 Every year, COA honors two Milwaukee couples for their dedication to family and extraordinary leadership in the community. Michael and Suzanne have been longtime champions for several community organizations for many years. They are the parents of two adult children, Rex and Maxine Hupy. Rex is currently a practicing attorney in New York City at a 900 man corporate firm and Maxine is a professional dancer and actress who has worked with Grammy Award-winning musical stars such as CeeLo Green. Suzanne, a philanthropist in her own right, spends a significant amount of time supporting numerous organizations. She and Attorney Hupy have had her mother’s home showcased for the Wisconsin Breast Cancer Showhouse and she personally volunteers with groups she highly values, such as arts programs. As president of Hupy and Abraham, S.C., Attorney Hupy has built the largest personal injury firm in the state of Wisconsin, which has expanded to 11 offices in three states with nearly 200 employees. Attorney Hupy has exclusively practiced personal injury law for several decades, and has recovered many multimillion dollar cases -- including a $9,500,000 slip and fall case, which was the largest verdict in a slip and fall case at the time. Attorney Hupy has achieved the prestigious AV Preeminent Judicial rating from Martindale-Hubbell -- the highest possible peer review rating in legal ability and ethical standards. The firm has conducted many campaigns to raise safety awareness including Yield to Pedestrians, “DNT TXT N DRV” and Watch for Motorcycles. Over 1,000,000 bumper stickers and promotional items have been distributed in support of these campaigns, which have also been viewed over 10 million times on television PSAs and billboards in Wisconsin, Illinois, and Iowa. Attorney Michael Hupy has been a guest expert on local television programs to spread awareness about various safety issues, including pedestrian safety. The firm has won many community and legal awards and was recently named “Best Personal Injury Law Firm” by Wisconsin Law Journal readers. Attorney Hupy has used his business success and resources to help others in need however he can over the years. He has been a presence in a number of legal organizations throughout southeastern Wisconsin, trying to make access easier for those in need. Over the last three years, his firm has donated over $500,000 to hundreds of organizations.